The Lanesborough presents bedrooms and dining rooms restored to their original Georgian splendour, into which the latest communications technologies and entertainment systems have been seamlessly woven. VIP Worldwide has been appointed to produce a series of lifestyle-led brand films to showcase the iconic London property. Working with a range of adult and child talent and a team of Harvey Nichols stylists, the films show guests the range of experiences they can enjoy both on and off property. There are 93 guest rooms at The Lanesborough, including 43 suites, all stunningly furnished in the building’s original Regency style. All furniture, fabrics and wall features have been sourced from the finest British suppliers, to create rooms and suites of extraordinary quality, heritage and unique character. The rooms and suites are filled with natural daylight, with triple-glazed windows to guarantee a peaceful night’s rest. Guests at The Lanesborough experience fine dining in Céleste, as well as afternoon tea, cigars and cognacs in The Garden Room, and a wealth of in-room digital services. The film crew also captured the local neighbourhood of Knightsbridge. 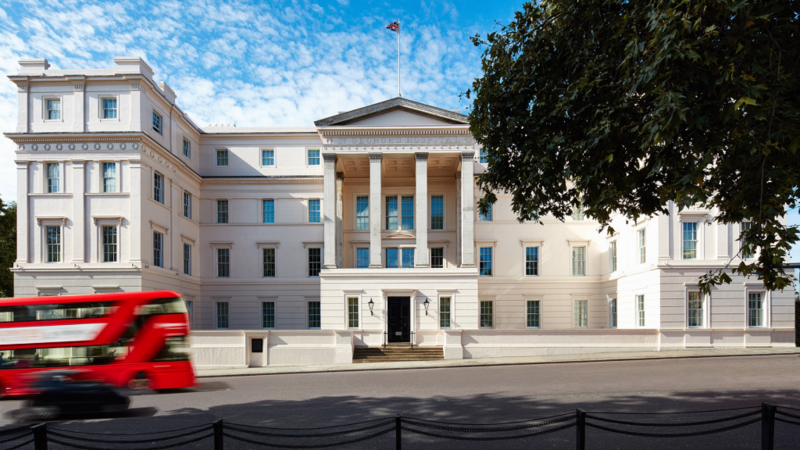 As you will see, The Lanesborough could not be more perfectly positioned for the enjoyment of some of London’s greatest attractions.